Eventmasters are delighted to offer official Tennis Hospitality packages at some of the most exciting Tennis tournaments in the UK for 2018. With packages available at Wimbledon, the Queen’s Club Championships and the Classic Birmingham to name a few, guests will be sure to savour an unparalleled sporting hospitality experience. It can only be imagined the impression that will be left with your clients, family or friends. While the world’s best players take centre stage to contest the ultimate sporting accolades, you’re ensured of slam dunking the experience of a lifetime into the memory baskets of your dazzled clients. And it is not only the thrilling action on court that makes this occasion truly one to cherish. With delicious complimentary drinks, delectable fine dining and an impeccable personal hospitality service available throughout, guests can revel in the experience of a lifetime. Eventmasters are delighted to offer a fine selection of Wimbledon hospitality packages. These are both on-site within the delightful Renshaw Restaurant and off-site at the Lakeview Restaurant and are combined with fabulous Wimbledon Tickets to enjoy the day’s tennis. The sublime Renshaw Restaurant, located within Court One, is held solely for Wimbledon Debenture ticket holders. The plush facility offers a delightful air of exclusivity for guests who want to avoid the hustle and bustle of the busy occasion as they indulge in a splendid three course a la carte meal. Alternatively the superb Lakeview Restaurant – located within the Wimbledon Park Golf Club – allows visitors to enjoy fabulous panoramic views of the stunning Centre Court whilst savouring an exquisite four-course luncheon, prepared expertly by Michelin starred chef – Angela Hartnett. A perfect way to prepare for the day’s thrilling action. It is not only Wimbledon however, that will have fans’ tongues wagging. In 2018, the venerable Queen’s Club Championships will grace London once again for seven days of sinew-straining court action. And with five splendid hospitality facilities to sample, including the Presidents Room, Roof Garden and Club Lounge, guests can be sure to savour an unrivalled entertainment experience at one of England’s most extravagant settings. With fabulous Champagne receptions, accompanied by the most alluring fine dining experiences, it will surely be an occasion for everybody to enjoy. Whether it be a formal environment you seek for entertaining corporate clients or a relaxed atmosphere for enjoying the company of friends, the Queen’s Club will cater for all. It will certainly be a day that lives long in the memory. Eventmasters are also thrilled to offer official hospitality at the Classic Birmingham in 2018. Held at the Edgbaston Priory Club, one of the world’s most prestigious tennis venues, it offers sporting fanatics the chance to witness the finest female tennis players on grass. With splendid hospitality to enjoy from within the lavish Skyview Suite, guests can entertain close friends and clients alike from within a luxurious clubhouse facility. With sights overlooking the four splendid show courts, visitors will enjoy unrivalled views of the action, coupled with a divine three course a la carte lunch, an fabulous inclusive bar and afternoon tea. There will also be exclusive opportunities to become an official partner of the event with Silver, Gold and Platinum Patron packages available for purchase. Be sure to enjoy the summer of sport in splendid VIP style in 2018. 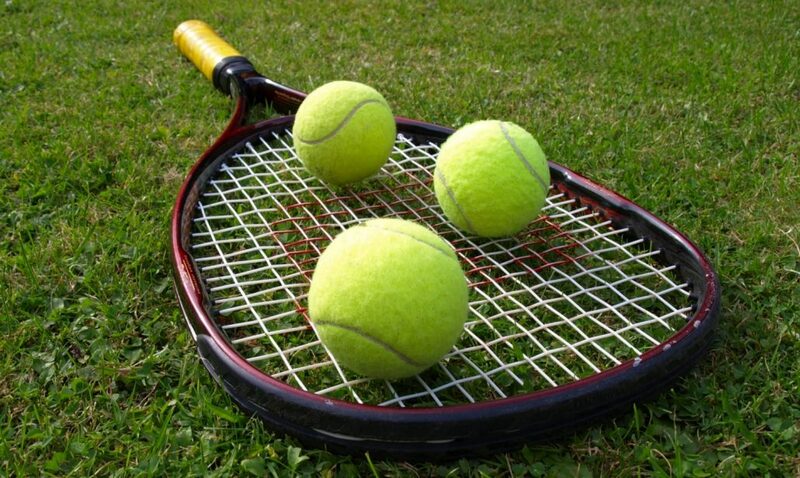 Eventmasters’ fantastic Tennis Hospitality packages will give both you and clients a wonderful memory to cherish.